Educators from the Americas and student recruitment agents focusing on Canada and the US. For the last nine years, ICEF Vancouver has attracted an increasing number of participants, firmly establishing itself as Canada’s leading education networking event. At the event, educators and service providers from Canada and the US will meet with hundreds of international education agents. All agents attending this event are carefully selected and are required to pass ICEF’s strict screening process. Agents must provide multiple references from current business partners, as well as proof of ethical business practices, and a successful track record of placing students at North American institutions. Prior to the event, educators are able to go online to schedule up to 38 one-to-one business meetings with agents from all over the world. The ICEF online booking system allows educators to view comprehensive agent profiles, helping you to identify and meet with the agents most relevant to you. In addition to formal meetings and social events, event participants may also participate in various market intelligence seminars and industry presentations. Attended by the best education agents focused on North America, and organised by the industry leader in educator-agent networking events, ICEF Vancouver is the must-attend international education event in Canada. Educators in North America (universities, vocational schools, boarding schools, language schools) looking to meet with quality global agents focused on sending students to Canada and the USA. International agents focused on North America who are looking to meet with educators from Canada and the USA. The event enables you to hold up to 38 pre-scheduled, one-to-one business meetings with quality student recruitment agents, as well as other educators and service providers from around the globe. These appointments are 25 minutes in duration and let you create new contacts and maintain existing relationships. The programme also includes meals, options for refreshment breaks, and evening functions, all of which offer further networking opportunities. ICEF Vancouver is hosted at the Hyatt Regency hotel. Located in downtown Vancouver, the Hyatt Regency offers guests a sophisticated stay in the heart of the city. The hotel features contemporary guest rooms, extensive 24-hour sports and fitness facilities including an outdoor heated pool, and exceptional business and conference services. Renowned for its modern amenities and world class service, the Hyatt Regency is an ideal venue for our Canada-based event. 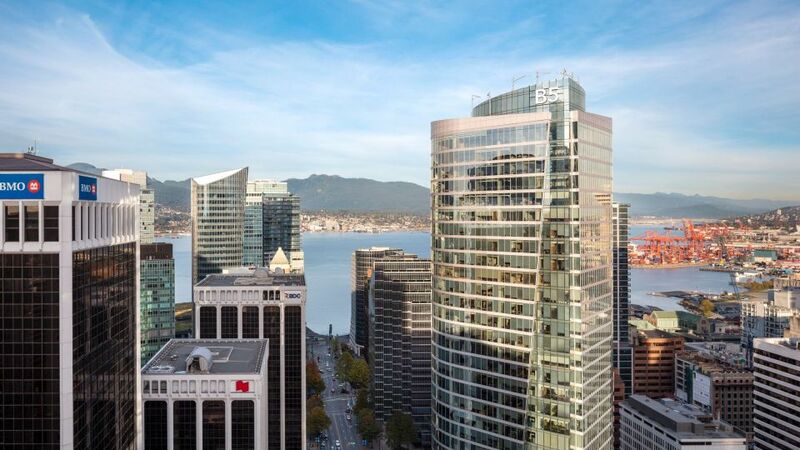 The Hyatt Regency Vancouver is located in the heart of downtown. The restyled Four Diamond luxury hotel is surrounded by the bustling business district, just moments from unique shops, museums and a wide choice of dining options. Rooms can be booked until	March 23rd, 2019 and will be allocated on a first-come, first-served basis. Bookings can also be made by calling 1 800 233 1234 (toll free within Canada). This accommodation option is no longer accepting online bookings. Please contact Frauke Festersen for advice regarding accommodation. The Blue Horizon Hotel is located only a few blocks away from the Hyatt Regency Vancouver on Robson Street, in one of Vancouver’s most vibrant shopping areas. Rooms can be booked until	March 12th, 2019 and will be allocated on a first-come, first-served basis. To book a room, please use this booking form or call (+1) 604 688 1444 or 1 800 663 1333 and quote the group code #3135. Situated diagonally opposite the Hyatt Regency, the Fairmont Hotel is known as the ‘Castle in the City’ and reflects timeless luxury and the history of Vancouver. Rooms can be booked until	March 22nd, 2019 and will be allocated on a first-come, first-served basis. To book a room, please use the booking form or call (+1) 604 684 3131 or 1 800 441 1414 and quote the group code 0419ICEF_001. This accommodation option is now sold out. Please contact Frauke Festersen for advice regarding accommodation. An integral benefit of attending an ICEF event is participation in the seminar programme. These seminars provide invaluable information and the latest research on trends affecting the international education industry. See for yourself the beauty of the Vancouver area. Visit, experience, wine and dine, and have lots of fun with our incredibly friendly international team composed of staff members from SSC, SSLC, VIC and GEC. Enjoy a complimentary 2-night stay at our highly sought-after, centrally located Global Education City (GEC) Granville hotel on April 22nd and 23rd, 2019! Please see attached flyer for more information and the link to register to attend our FAM Tour. Limited spots available, so please register early. See you in Vancouver! 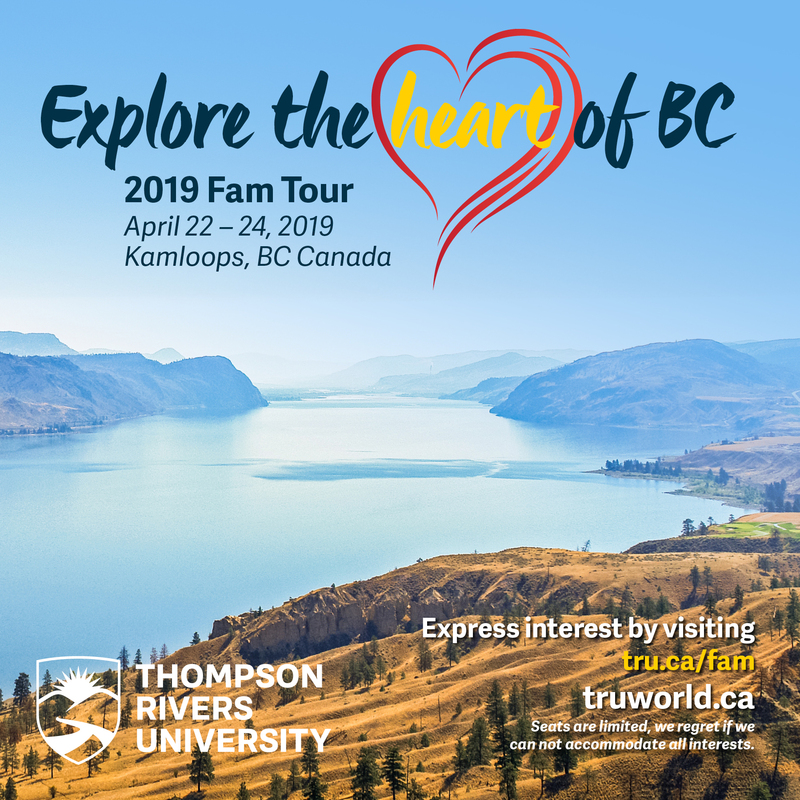 You are invited to the 2019 Vancouver Higher Education Familiarization Tour with 5 public institutions in Beautiful British Columbia. To book your air travel now, visit Air Canada, simply add the code XPGBVCR1 in the promotion box when you book your flight and the discount will automatically be calculated for you. Participating at ICEF has helped our institution to increase diversity, maximise our recruiting efforts and improve ROI from time spent on the road. This was the best agent conference I have ever been part of. This event allowed us not only to meet existing and potential agents from specific regions, but also helped us to learn what other universities are doing in terms of recruitment and strategic enrolment. From start to finish, we had an excellent experience at our first ICEF event. We found the coaching session of great benefit as we gained valuable knowledge about what to expect from agent meetings. The ICEF staff were extremely personable and full of expert advice which they willingly and passionately shared with us. It was a very memorable and meaningful event. This event was absolutely incredible. We met many promising contacts, the event was executed seamlessly - and it was fun! Can’t wait to see the business opportunities that develop as a result of this. This ICEF event was exceptionally well organised and provided a great venue for exchanging ideas and building contacts. This a great event. It is well organised and is good for meeting other agents and beneficial for increasing our business contacts.